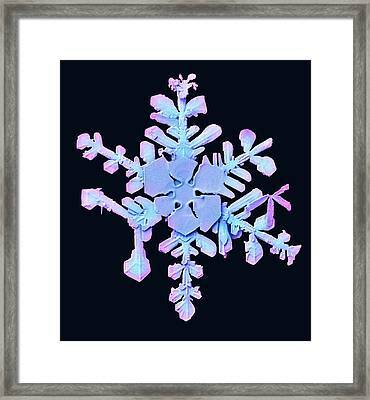 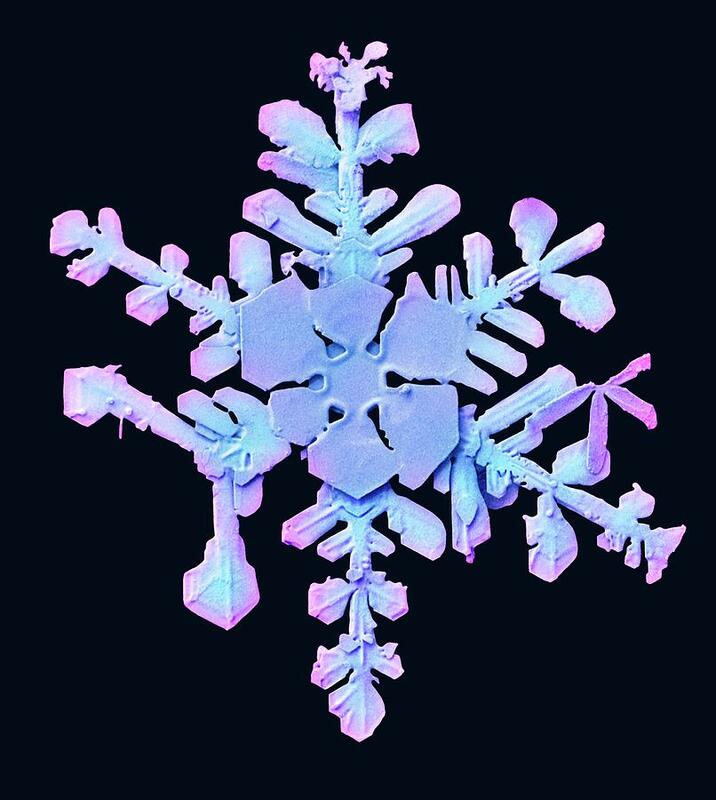 Snowflake is a photograph by Ars/us Dept Of Agriculture which was uploaded on July 24th, 2016. 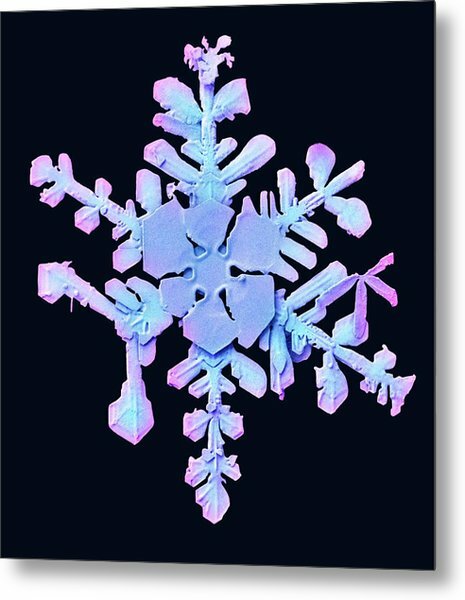 Snowflake. 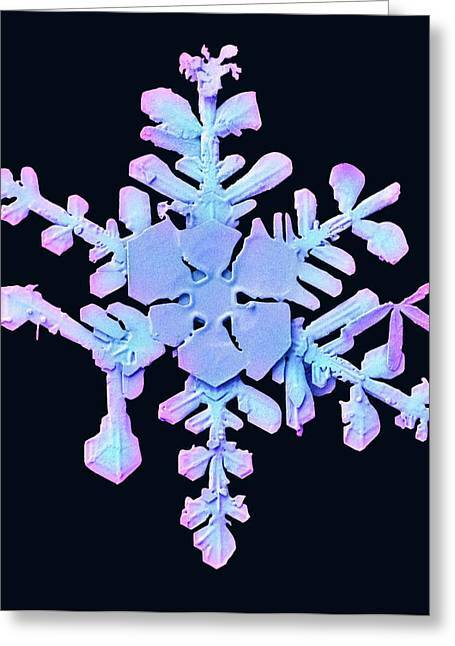 Coloured low-temperature scanning electron micrograph (LT-SEM) of a snowflake. 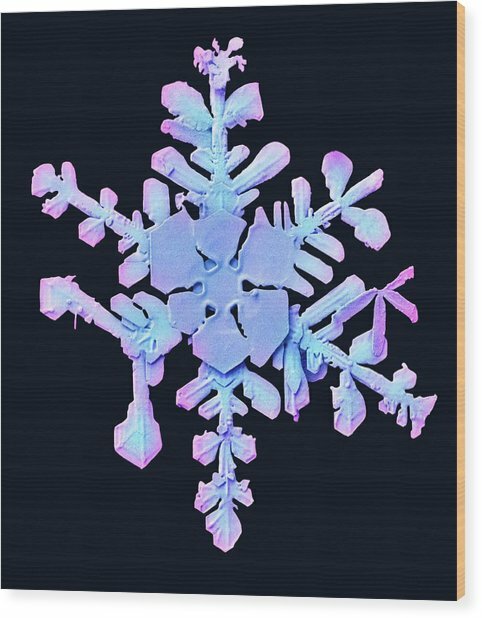 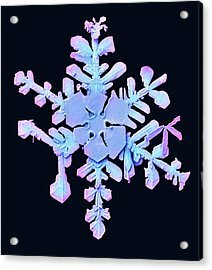 To prepare for the imaging process the snow and ice crystals are collected on copper sample plates containing pre-cooled methyl cellulose solution. 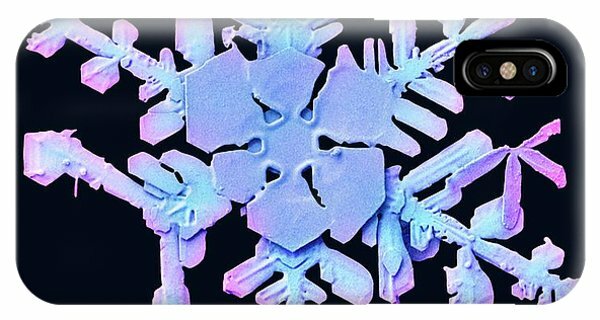 The plates are then rapidly cooled to -196 degrees Celsius in a bath of liquid nitrogen. 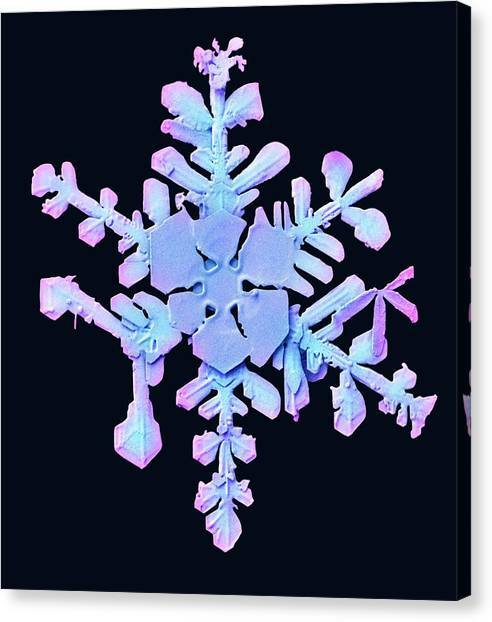 The samples are then either held in storage or photographed using a field emission scanning electron microscope that has been pre-cooled to -170 degrees Celsius. Magnification: x38, when printed 10 centimetres wide.